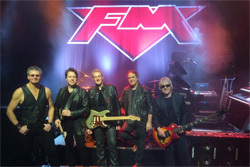 Having resurrected and regrouped in 2007, legendary UK rock act FM has put out three albums since 2010, to some acclaim and appreciation from fans. But, excepting a song or two from 2010's Metropolis, I haven't listened to a single new FM album since their reformation, until now. Heroes and Villains is their ninth studio album. Honestly, after the first spin, I was wondering what the big deal is about FM. Looking at some of the comments about both Rockville albums, which some were calling melodic rock genius, I wasn't getting it. First conclusion: this is derivative, yet classic, melodic hard rock in an AOR wrapper. The songs have an abundance of melody and harmony, some catchy hooks in lyrics, refrains, and vocal arrangements, and some really slick guitar solos. But, first time around, nothing really stuck with me, excepting one song. That song was I Want You. The beat, rhythm, and groove, along with the damn fine chorus pushed by Steve Overland's voice made the song rise to the top of the bunch. Now it's the second time through, and my thoughts have somewhat improved. I've actually found a few other songs that caught my attention (but nothing like I Want You). Those would be the riff heavy Digging Up The Dirt, You're The Best Thing About Me, the somewhat lively and catchy Call On Me, and maybe the balladish Incredible. Most other songs offered some promise at the start, but simply didn't deliver for me like Cold Hearted. It begins with this nice group vocal harmony and jammin' riffs, only drop off with the first verse. Or Sometimes I Only Wanna Rock and Roll which you would think should be some badass, kick out the jams, rocker. But not so much. Parts are lively, with others, wow, somewhere between lame and tame. It's simply a mixed bag of tricks for me. For sure, talent is not the wildcard here. 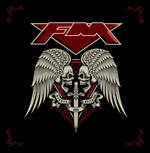 It just seems that FM brought their songwriting B-game to the studio. Check out what you can, starting with the video below (but don't be persuaded by the hot chicks), and you'll probably see and hear things differently. 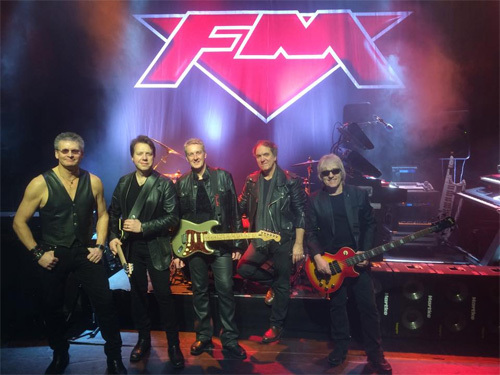 With Heroes and Villains FM offers derivative, yet classic, melodic hard rock in an AOR wrapper.